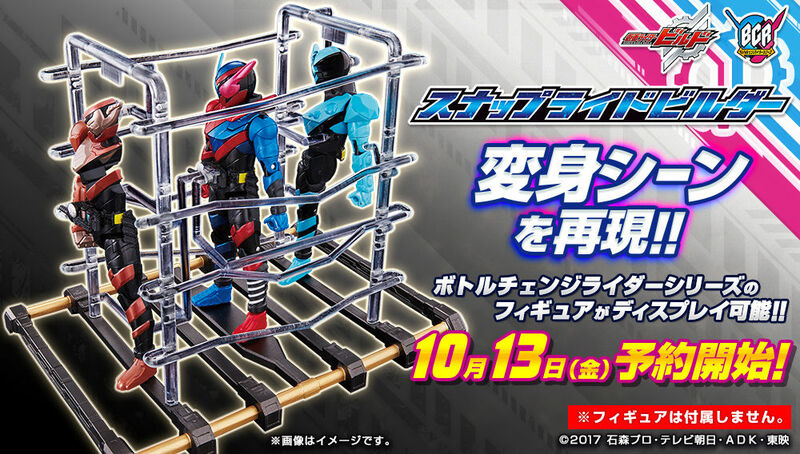 The official Premium Bandai website has posted a teaser for their next Bottle Change Rider attraction, the Snap Ride Builder, a diorama piece built just for your 6" Kamen Rider Build figures! 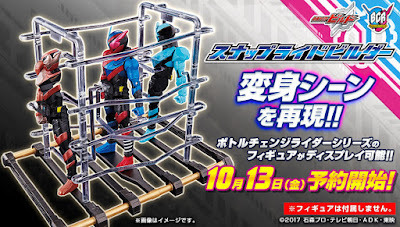 This little addition and upgrade for the BCR figure series is used to replicate Kamen Rider Build's transformation and best Match form change scenes from the TV series. No other information regarding the release date for the Snap Ride Builder has been handed out yet but the pre-order will start on October 13th so stay tuned for more info and official images.